With the latest update to Alexa, you can play multi-room audio to anyone who owns an Echo, Echo Dot, and Echo Show. 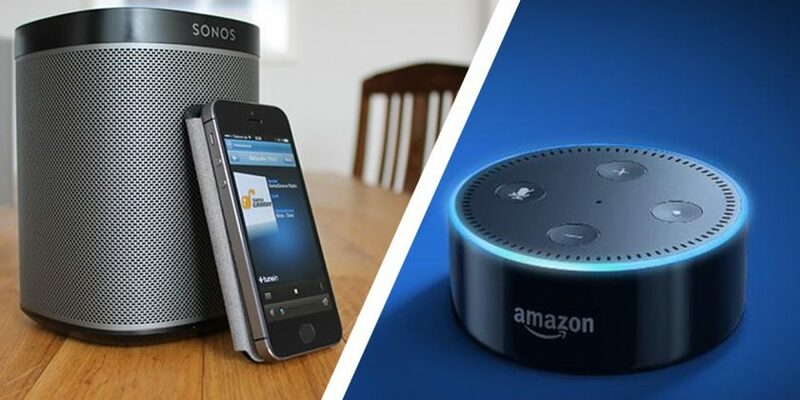 You can now play music on different Echo devices around the house and shows the power of devices that connect to the cloud. The first thing to remember is that the Echo-Tap and the Fire TV are not part of the support map for what Amazon calls Multi-Room Music. You will need an Echo (any generation), Echo Dot (any generation) or an Echo Show. Also, if you run the audio from an Echo through an external speaker like a lot of people do, you will need to ensure that the two devices use a 3.5mm cable and not Bluetooth. Amazon initially only supported Amazon Prime Music, but as of today both Spotify and SiriusXM can use Multi-Room Music. If you have a Prime Music membership, you can only listen on one speaker, but can expand to more if you have Amazon Prime Music Unlimited or the family plan. Much like Sonos, you can create Groups of speakers and then redirect music to those groups. You can create a group and then add (or remove) Echo devices from each group. You can set up the groups in the Alexa app and then use voice to ask Alexa to play music on any group. The integration with music services is not as good as Sonos, but Multi-Room Music is the most affordable way to play the same music across your entire house. Previous Post:Do you need the patches for Specter and Meltdown?